With the launch of a game as big as Forza Motorposrt 6, there were bound to be a few bugs that snuck through the final game. 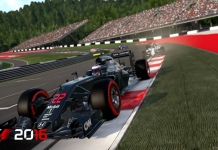 Over the last month, Turn 10 has been hard at work tracking down the issues and fixing them. 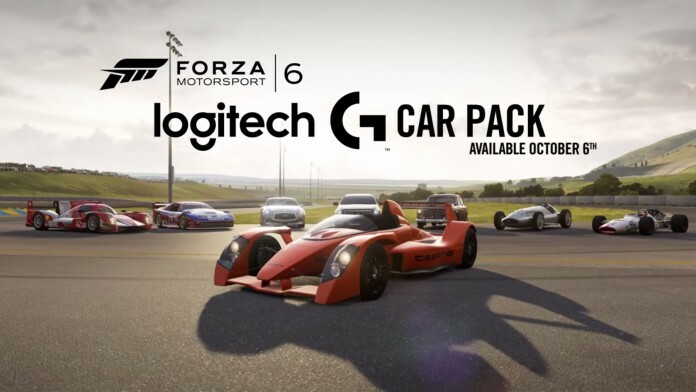 Today a new Logitech G Car Pack was announced along with a huge patch to fix many issues present in the game. The Logitech G Car Pack comes from Logitech to help celebrate the launch of the new G920 racing wheel for the Xbox One, and it features seven new cars that range from fast and exciting, to classic and exotic, with a random limousine in the middle. On the list we have a pair of vintage Formula One cars, two Le Mans racers, an old Volvo, the Caparo T1 and a Cadillac XTS Limousine. You can find out more about each car below. As for the big fixes, the majority of these ar based around general nuisances in the game. 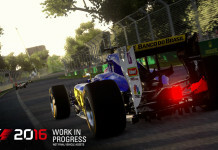 There were some engine note issues, a few in-car camera discrepancies and some problems with achievements as well as problems importing liveries and tunes from Forza 5. All of this has been rectified, and that’s great, but the real news comes in the track, Drivatar and engine swap changes. For tracks, there were issues in Road Atlanta, Monza and Top Gear that would either cause you to wreck mysteriously, cheat by cutting corners, or in the case of the Top Gear track, get your lap labeled as “dirty” when it was in fact completely clean. 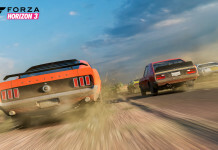 As for the Drivatars they have been altered to stop a bug that would allow them to drive faster than they should, and they now receive damage as they should when they crash into things. The “engine swap” fix is probably the biggest thing happening to the game. It was discovered that certain cars were actually faster than they were supposed to be after an engine swap. 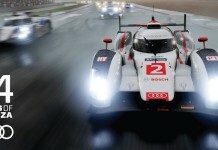 This meant that certain cars could dominate races and the leaderboards thanks to an unfair advantage. This has now been fixed, and Turn 10 is wiping the leaderboards that these cars qualify for. 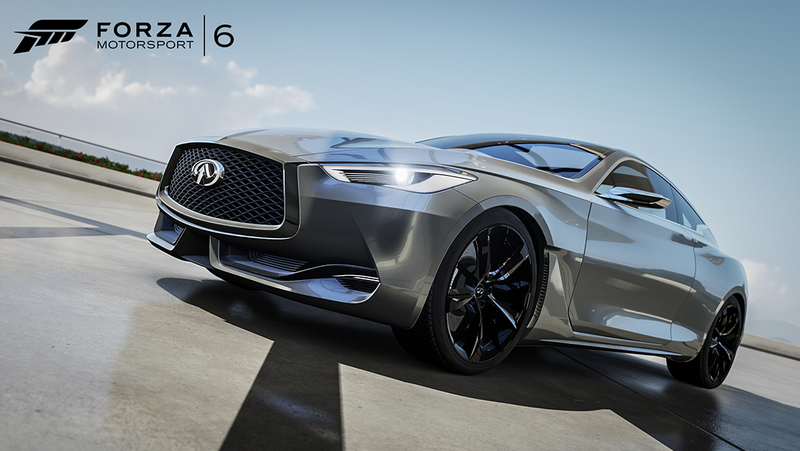 Along with the car pack and the big patch, Turn 10 is also giving all players one free new car this month, the 2015 Infiniti Q60 Concept. Check it out with the other cars below. At a glance, the Caparo T1 is space age, looking like it could blast into the atmosphere at any moment. If not for its multiple wings and foils creating downforce, the T1 could certainly achieve flight. As the 3.5-liter turbo-charged V8 spins up to 10,500 rpm, you might just think it’s the scream of a pure turbine engine rocketing you to Formula One speeds. The T1 is not far from the cars of F1. Underneath its thin carbon fiber skin, Caparo’s masterpiece is nothing short of an open-wheel racecar with an extra seat. The T1 is the brainchild of a pair of engineers who heavily contributed to the development of the McLaren F1. Their goal was to build a Formula One car that could be driven on the street, but the Caparo T1 is more at home on any track with its ultimate track toy brethren. Be sure to hit the Forza Motorsport 6Rivals mode specially designed for the T1 once you’ve added the pack to your garage. The storied history of Mercedes-Benz racing was cemented by cars called the “Silver Arrows,” pre-war racers like the W154 whose aluminum-skinned bodies flashed through the European racing circuits. This was an era of racing greats like the “Rainmaster” Rudolf Caracciola, who piloted one of the W154s. The W154 was the product of a rule change in the European Championship that excluded cars over 3.0 liters with a supercharger. Rather than just build a new engine, Mercedes built a new car: the W154. 1939 was the second year for the W154, which now had a two-stage supercharger on its massive 12-cylinder engine that made around 475 hp. Throughout 1939, the three and sometimes four W154s qualified 1-2-3 and took home numerous Grand Prix wins. Take the W154 around the Nürburgring in the rain – if it doesn’t give you a great respect for what the racers of the past accomplished, nothing will. IMSA banned turbos following the 1994 season, so this 300ZX is the last of the series’ turbocharged racing Nissans. Steve Millen drove the #75 to victories throughout the 1994 season, less than a year after nearly losing his life in a wreck at Watkins Glen. Millen’s prowess behind the wheel combined with the incredible handling and power of the 300ZX made the duo a formidable weapon. Not much of the production 300ZX exists in this bespoke racecar, but the taillights, highly-modified heads and the block (cast in aluminum rather than iron) are there. After winning at the 24 Hours of Daytona, then later at Sebring, the Cunningham race team took the #75 and #76 to Le Mans where they won their class, but were unable to claim overall victory due to mechanical issues that were resolved in pit lane. Millen retired after the next season, following another near-fatal accident. He then meticulously rebuilt the #75 and races it these days at events like the Monterrey Historics. The Swiss team Rebellion Racing has proven that a privateer can compete with the big factory teams. Over and above winning most of the races in the 2014 Le Mans Prototype (LMP) privateer class, Rebellion Racing showed up at the 24 Hours of Le Mans and took the #12 to a fourth overall finish. Prototype racing is the top level of sports car racing and when you race these cars for six to 24 hours, it puts them to the ultimate test. Again and again, the #12 and the Rebellion Racing team have proven they have what it takes to run with the best prototypes and racing teams in the world. Dubbed the “Hondola” by motorsport press due to the collaboration between Honda and Lola’s Eric Broadley, this racing antiquity holds a unique place in motorsport history. The RA300 won its first ever Formula One race at the Italian Grand Prix in 1967 and did so in a curious manner. Driven by John Surtees, the RA300 performed soundly throughout the race and was holding third place. On the last lap, race leader Jim Clark ran out of fuel and sputtered to the sideline and second place Jack Braham ran wide letting Surtees get by. That lap led to the RA300’s only win and the only lap it would ever lead. Powering the car was a specially designed 48-valve V12 spitting out around 400 hp and capable of spinning the tires loose at 100 mph. The mark the RA300 made in racing history was brief, but its beauty is timeless. One advantage this Cadillac XTS Limousine has is its length. You are not going to just fly by this vehicle. It’s long. When toting around VIPs, you need a limousine and that’s where this rig comes in. Plunk down in its luxurious interior and watch a movie while Jeeves puts in a few laps or use it as a canvas for an elongated livery. With 300 horsepower in the stock version (and don’t forget you can upgrade this thing with a NASCAR engine), it’s no slouch. If you want to practice your cornering skills, the Limo will give you a new perspective on watching out behind you. Simply put, this is one hulking and fancy piece of machinery that has no business on the track. 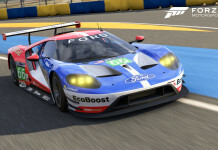 All the more reason to have it in Forza Motorsport 6 we say. 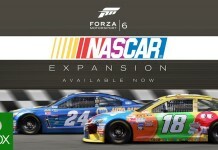 Once you’ve checked out the car pack, visit ForzaMotorsport.net to learn more about the latest content update for Forza Motorsport 6, including some notable improvements to game features and corrections to a number of cars and tracks.